So instead of doing this feature at the end of the week like I normally do, I am posting it at the beginning do to the holidays. 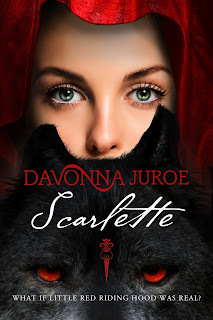 This weeks book is a great YA paranormal historical by Davonna Juroe called, Scarlette. Scarlette, an 18-year-old peasant, lives under a dark threat. A nightmarish creature lurks in the surrounding forest, killing the villagers one by one. When Scarlette's grandmother survives an attack, Scarlette learns that her grandmother hasn't suffered the bite of just any normal animal. Now desperate, Scarlette searches throughout her province to find a cure. But there are those who want to keep their pasts hidden. As she begins to uncover the dark secrets of her village, Scarlette is befriended by a local nobleman and a woodcutter who share a gruesome history with the beast. To save her grandmother, Scarlette must unravel their mystery and solve an age-old crime. But as she pieces together the clues, Scarlette finds herself torn between the two men, both of whom want to be more than friends and hold the key to the cure. What if Little Red Riding Hood was Real? 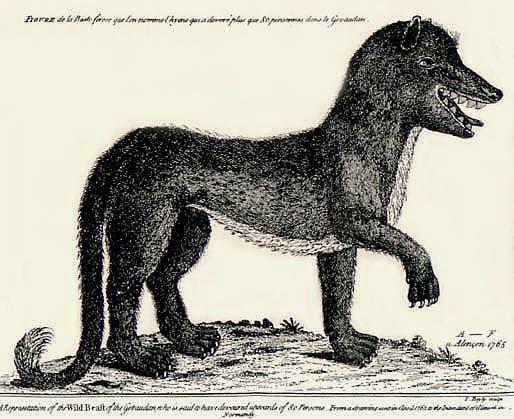 Based on both the Grimm and Perrault versions of Little Red Riding Hood and set against the terrifying, historic Beast of Gévaudan attacks, this dark YA retelling blends two epic legends, giving the fabled girl-in-the-red-cloak a new, shockingly real existence. Davonna Juroe stays up way too late, has a severe garlic food allergy, and loves all things 80’s. She wonders if all this could actually mean she's a vampire. In high school, she wore way too much glitter eye make-up. And in between many Disneyland visits and reading R.L. Stine’s Fear Street Series, she joined the high school drama department and may have developed crushes of the serious kind on many a theater boy. After many a broken heart, (*sigh*) Davonna moved to the quaint, wooded village of Kalispell, Montana. When she’s not writing, she shops @ thrift stores for hot-pink-Jem-and-the-Holograms-inspired-outfits, eats gluten free desserts, drinks tea out of antique teacups, and spends too much time on deviantArt, Pinterest, and Goodreads. 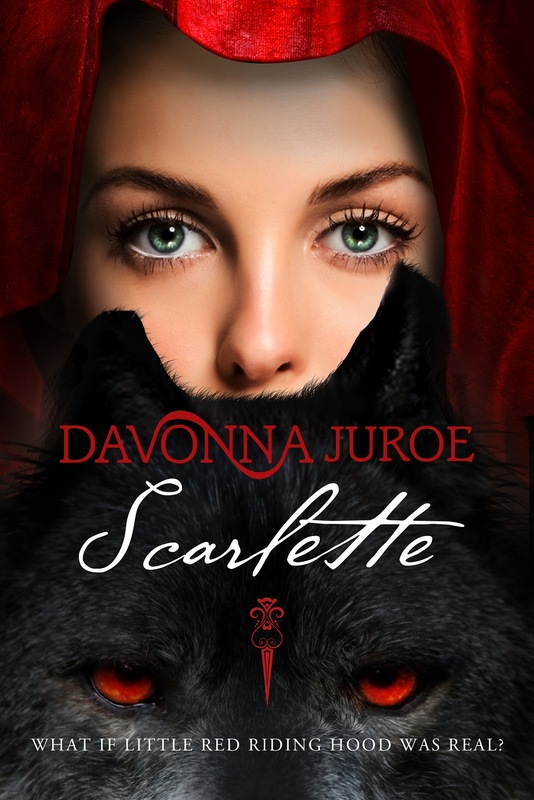 Scarlette is Davonna’s debut novel of epic-historical-fairy-tale-proportions, which she knows the Brothers Grimm would say is wicked cool. Currently, she's represented by fabulous independent agent Roxanne McHenry who is waving wands to make all of Davonna's dreams come true. I absolutely love when authors take an old tale and add a new twist to it completely making it their own while still holding on to the essence and magic of the original tale. Juroe has managed to do just that with her debut novel Scarlette. This isn't your average tale of Little Red Riding Hood and the Big Bag Wolf. This is so much more. Mystery, lies, curses, death, disappearances, magic, love, deception and darkness all make this an unforgettable tale that you will want to re read just to experience it all again. Juroe did a fabulous job on making this not only a completely new spin on an old beloved fairy tale but by making it dark and bleak and throwing in a little of the supernatural as well. Set in a time when parts of France were in poverty and people worked the land to survive. When a monster lurked in the woods and terrorized the people in the village and all hopes for a bright future were gone. Scarlette was a fabulous character and right away I connected with her. I felt bad for her, the life that she lived and the heartache that would follow her where ever she went. But no matter what life dealt her, she was a strong, determined girl and she didn't let anyone stand in her way or make decisions for her. This really was a great action packed read and had me turning the pages. I loved all the paranormal elements along with the slightly dark historical feel it had. It was a great combination of all things I love to have in a good read. 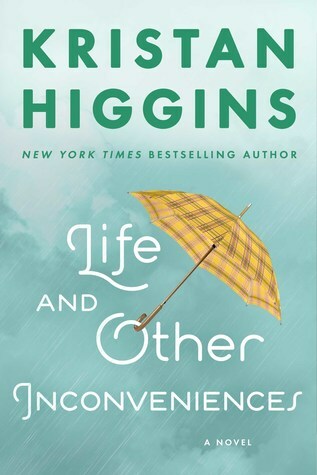 The ending did feel a little rushed as everything came together and fell into place but nothing was left unanswered or unsaid which I am thankful for. I will be watching this author to see what else she comes out with in the future. I give this one 4 Stars!! This sounds really good! I love that cover! And I love HF as well. I also love the authors hair! Gorgeous! I agree, her hair looks great! Great review. This sounds like it could be really good. 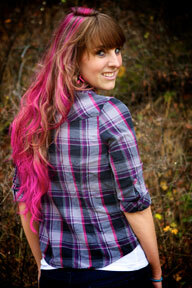 Love her pink hair. I love twists on old stories too. Thanks so much for all your hair complements, ladies! :D And thank you again for reviewing SCARLETTE, Kindlemom! Happy New Year Giveaway Hop! A Merry Christmas To You, From Me! 99 Authors, 99 Books, 99 Cents‏! 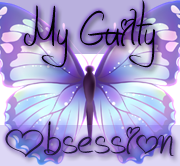 All I Want Blog Tour, Guest Post and Book Review! The Kiss Off Blog Tour and Author Interview! The Jelly Bean Crisis Book Blast and Giveaway! Glimmers Blog Tour and Book Review! All I Want Book Blast and Giveaway! Indie Book of the Week: ReAwakened by Ada Adams!